Enjoy a delicious, sustainable Faroese supper club meal with friends and other guests in the home of farmers, Anna and Óli. They are farmers with a flock of 150 mother sheep living freely in the mountains. 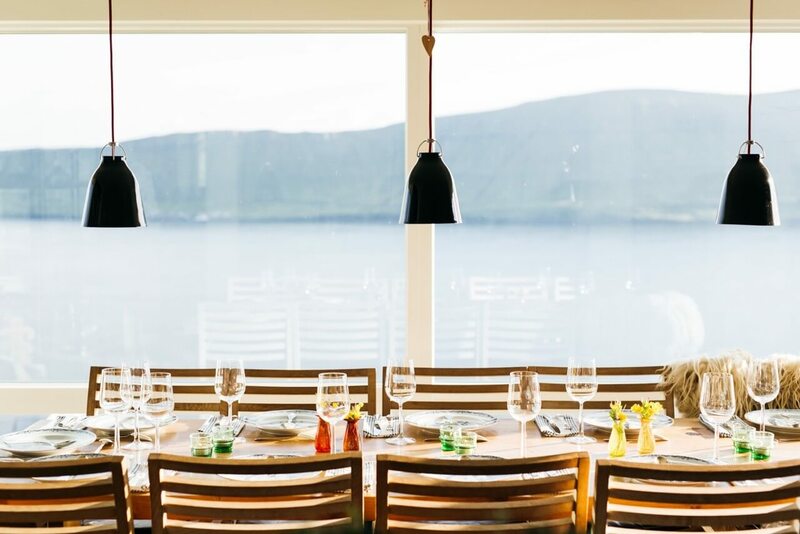 The Faroese phrase "heimablídni" translates directly as "home hospitality", and all across the islands you can enjoy authentic and intimate dining experiences in people's homes. In most cases, this is only available for groups. But that's all about to change. You can now book a spot at Anna and Óli's table in their beautiful home in Velbastaður - you might be alone, or joined by others who also want to try a delicious and traditional home-cooked Faroese meal.